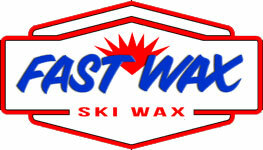 The Skiwerx Series, founded in 2010, is presented by Fast Wax and Joe's Sporting Goods. The original Skiwerx Series is Mpls/St Paul metro-based and finishes with the Midwest Junior Championships, a two-day festival just for kids. Beginning is 2017 we added a Wisconsin Skiwerx Series. New in 2018, we are adding a Michigan Skiwerx Series. All three state-based Skiwerx Series include quality events for kids in the U10, U12 and U14 age groups. Skiwerx Series events are a age-appopriate introduction to skiing as sport and use the same rules and points structure (see below). The Skiwerx Series events are a preliminary, local experience, before a skier chooses to participate in the regional (three-state) CXC Youth Cup, which includes only U12 and U14 age groups. Often, a race will be both a Skiwerx Series event and Youth Cup event. Best four races count. A skier can only place in ONE state Skiwerx Series list. If they do not notify amy@mysl.org of their preference, their highest placing Skiwerx Series result will stand and they will be neutralized in the other state Skiwerx Series lists. All skiers must have a MyXC Skiwerx Membership in order to score points in the Minnesota Skiwerx Series. This is optional, but highly recommended for the Wisconsin and Michigan Skiwerx Series. Available online or complementary through your Skiwerx-afilliated or CXC All-In Club. Awards will be given to the top three in each age group/gender in WI and MI. And the top five places in MN. Q: Are there different rules for the Skiwerx Series and CXC Youth Cup? A: Yes, the rules vary slightly, so please read the relevant information. The Skiwerx Series is intended to be focused more locally in the metro and as an easier introduction (for parents and skiers) to racing. The CXC Youth Cup is regional and requires some travel. One big differnece is that the Skiwerx Series includes the U10 age group. A: In the CXC Youth Cup, Five races for U14 and Four races for U12 age groups. For the Skiwerx Series, the best four races are scored for all age groups (U14, U12 and U10). Q: Can my child race up an age group? A: To participate in the CXC Youth Cup or Skiwerx Series, skiers have to race in their age group (determined by year of birth). We need all skiers to feel comfortable in their age group, whether they are role models or looking up to role models. In rare instances, when there is not a seperate U10 category, those skiers will race with U12. Q: Do I need a license number to register for events? A: No, there are no license/membership numbers. However, your skier needs a MyXC Skiwerx Membership, which is usually included in your winter club registration (Skiwerx and Trail Kids programs).